The Glowing Sushi Cooking Show finds an unexpected use for the first genetically engineered animal you can buy. The Glowing Sushi Cooking Show uses everyday ingredients and some simple kitchen chemistry to explore cutting edge biotechnology. In each episode, we show viewers how to easily replicate our experiments in their own homes. Americans consume the products of genetically modified organisms in industrially produced soda and cheese everyday, but the genetically modified organisms we eat are usually invisible. 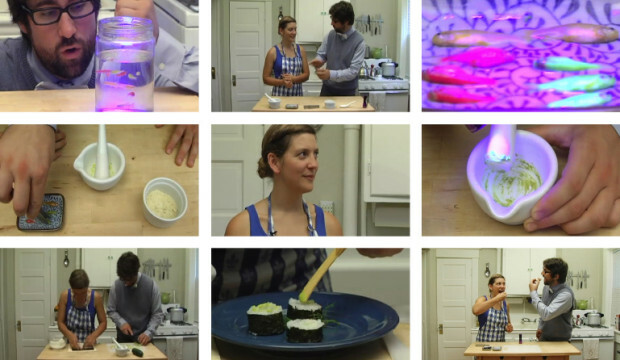 Glowing Sushi allows the eating of GMOs a very visible act, prompting viewers to consider and debate what is innovative and acceptable within the life sciences. Is inserting a transgene innovative? Is taking transgenic fish out of the lab and selling them innovative? Is marketing them as pets innovative? Is selling a pet fish with terms of service innovative? Is eating them innovative? Are these acceptable practices? We believe that Glowing Sushi is involves many levels of innovation. The US Food and Drug Administration only recently developed comprehensive recommendations for approving genetically modified animals for sale as drugs. GloFish are not consumed as drugs, but the US FDA was willing to be an innovative regulator and continues to approve their sale anyway. Yorktown Technology saw an opportunity to take an animal out of the lab and make it a product. Although originally intended as an environmental sensor, Yorktown Technologies innovated by patenting and trademarking the fish and marketing them as pets. 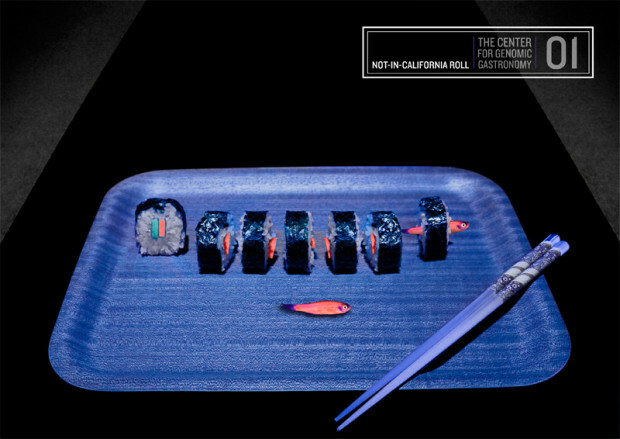 Glowing sushi innovates one step further by making Genetically Modified ingredients more visible (they glow!). If consumers are unhappy about how GMOs are regulated they can always write to the USDA or their congressperson and support mandatory labeling of GMOs, or attempt to stop the approval of Aqua Bounty Salmon. Companies should remember that individuals will always find their own use for new technologies, even if it is not the use that companies intended. 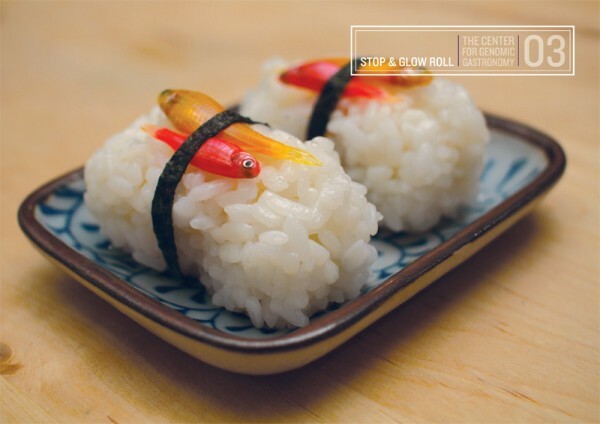 Not-in-California-Roll Photograph by Jason Sherwood.